Today we are accustomed to psychiatrists being summoned to scenes of terrorist attacks, natural disasters, war, and other tragic events to care for the psychic trauma of victims–yet it has not always been so. The very idea of psychic trauma came into being only at the end of the nineteenth century and for a long time was treated with suspicion. The Empire of Trauma tells the story of how the traumatic victim became culturally and politically respectable, and how trauma itself became an unassailable moral category. Basing their analys is on a wide-ranging ethnography, Didier Fassin and Richard Rechtman examine the politics of reparation, testimony, and proof made possible by the recognition of trauma. They study the application of psychiatric victimology to victims of the 1995 terrorist bombings in Paris and the 2001 industrial disaster in Toulouse; the involvement of humanitarian psychiatry with both Palestinians and Israelis during the second Intifada; and the application of the psychotraumatology of exile to asylum seekers victimized by persecution and torture. 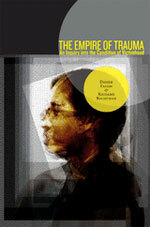 Revealing how trauma has come to authenticate the suffering of victims, The Empire of Trauma provides critical perspective on some of the moral and political issues at stake in the contemporary world. Didier Fassin, one of France’s leading social anthropologists and a physician in internal medicine, is the James D. Wolfensohn Professor in the School of Social Science at the Institute for Advanced Study in Princeton. Richard Rechtman, a psychiatrist and anthropologist, is medical director of the Institut Marcel Rivière in France. Both are members of the Interdisciplinary Research Institute on Social Issues (IRIS).